"Sampath Speaking" - the thoughts of an Insurer from Thiruvallikkeni: Marketing, Advertising, Reality, Cricketers, endorsements and more !! Marketing, Advertising, Reality, Cricketers, endorsements and more !! 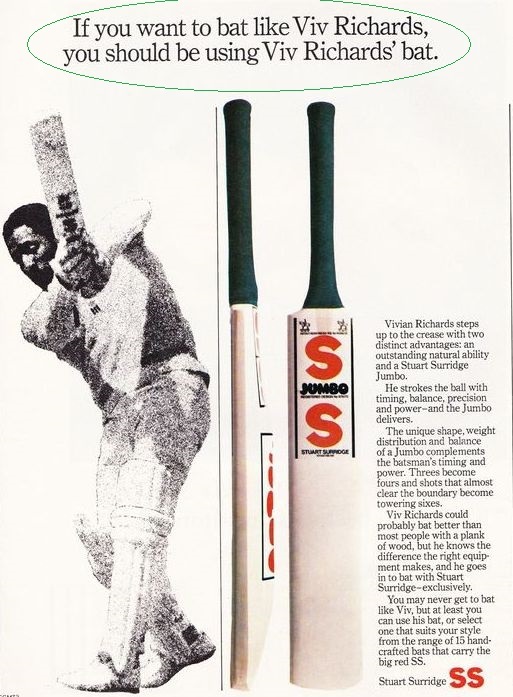 Recently, saw a full page advt featuring spin King Ravichandran Ashwin promoting a food product – primarily a food-mix .. .. .. Cricketers endorsing and promoting products is nothing new – FarokhManekshaw Engineer was freatured in Brylcreem .. .. .. and those days ‘palmolivekajawabnahin’ – said the greatest allrounder India ever produced - Kapil Dev Nikhanj. He ran, he exercised, drank beverage and said ‘Boost is the source of energy !’ – whole Nation drank Boost, later Sachin Tendulkar too joined and said .. .. .. ‘our energy’!. I have a Q to ask, one’s opinion may be impelled favourably in respect of a two-wheeler, a food product or something else – but they advertised for tyres meant for aircrafts too ? – who is the target audience. On 24.11.2018, at North Sound (Antigua): Australia breezed to their fourth Women’s World T20 title, thrashing England by eight wickets in the finals. England faltered with the bat after winning the toss, struggling to 105 all out in 19.4 overs with opener Danielle Wyatt(43) being the top-scorer.Pacer Megan Schutt (2/13), leggie Giorgia Wareham (2/11) and all-rounder Ashleigh Gardner (3/22) led Australia’s clinical effort with the ball.Chasing a comfortable target, Australia raced to victory in 15.1 overs with Gardner and captain Meg Lanning remaining unbeaten on 33 and 28, respectively. Interestingly, England had also mustered 105 against Australia in the final of the 2014 edition and even on that occasion, the team from Down Under cruised to a famous win. With another emphatic win on Saturday, Australia extended their dominance in the showpiece event of the shortest format, lifting their fourth trophy in tournament’s sixth edition. Australia are also the most successful team in ODI World Cup with six titles. However, Australia had not win a major event since their World T20 triumph four years ago, making Saturday’s triumph sweeter. Their sole loss in the tournament came against India in the group stage before they bounced back to beat the West Indies in the semifinals. England, who downed an in-form India in the semifinals, had a forgettable day.Lanning, who hit the winning run, said being outplayed by India did not affect the team's morale heading into the knock-outs. Back home, there have been media debates on the decision to leave out Mithali Raj in the crucial encounter, though she was fit .. .. it was a decision that backfired. The scorecard of the finals reads : England Women 105 all out 19.4 overs (Danielle Wyatt 43, Heather Knight 25; Ashleigh Gardner 3-22, Georgia Wareham 2-11). Australia Women 106/2 15.1 overs (Ashleigh Gardner 33*). 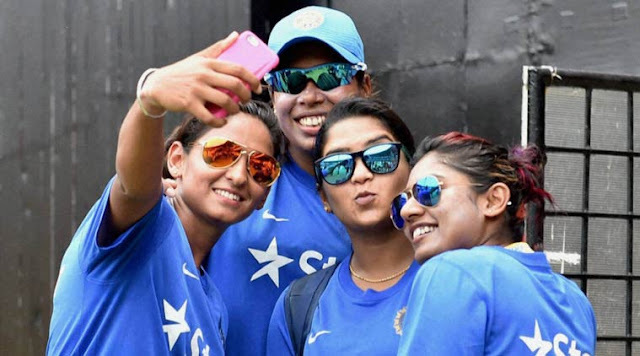 Winning or losing on – there is always plenty of news .. the Indian women’s team has been creating waves off the field, not waves but money too. At least three top players — Mithali Raj, SmritiMandhana and Harmanpreet Kaur — have signed lucrative endorsement contracts. From peddling fruit juice and flaunting Australian diamonds to promoting cab aggregators and sporting shoe brands — they are doing it all. Classy Mithali Raj whose presence perhaps could have changed fortunes in Semis against England, has inked a deal with New Zealand-based bat maker Laver & Wood apart from playing brand ambassador for US cab-hailing company Uber and Rio Tinto’s Australian diamonds. Sources said the bat deal is worth Rs 20 lakh. Her teammate, 22-year old Mandhana has the country’s largest bike maker Hero Moto Corp sponsoring her bat and European footwear retailer Bata has picked her as a brand ambassador. Mandhana, sources said, could be charging anywhere between Rs 40 lakh and Rs 50 lakh per year for an endorsement. Kolkata-headquartered conglomerate ITC chose Indian T20 skipper Harmanpreet Kaur as the brand ambassador for its juice brand B Natural to push deeper into Punjab. Kaur, who hails from Moga in the northern state, charges around Rs 10 lakh a day for ad shoots and Rs 15-20 lakh per year for endorsing apparel and footwear, sources said. Tyre maker Ceat, which is one of the heavyweight bat sponsors with top cricketers such as Rohit Sharma and AjinkyaRahane on its payroll, has also signed up Kaur. Teenage batting sensation Jemima Rodrigues has signed up with the Kiwi batmaker Laver & Wood.“The team’s top-class performance at the global level has made women’s cricket popular among the game’s fans in the country,” said a Hero MotoCorp spokesperson. “Thanks to their consistent performances and the live telecast of the matches, players such as Mithali, Smriti and Harmanpreet have become household names, in the process immensely enhancing their brand value.”Companies are finding new ways of cashing in on the grassroots popularity of these cricketers. “A campaign featuring Kaur, which ran as a state-level contest, became a platform to identify and celebrate honest talent among girl children across Punjab in the cities of Bhatinda, Patiala, Jalandhar, Amritsar, Ludhiana and Chandigarh,” said an ITC spokesperson.